As well as containing one of your five-a-day Heinz Moshi Monster Pasta Shapes offer a versatile, no fuss mealtime solution. 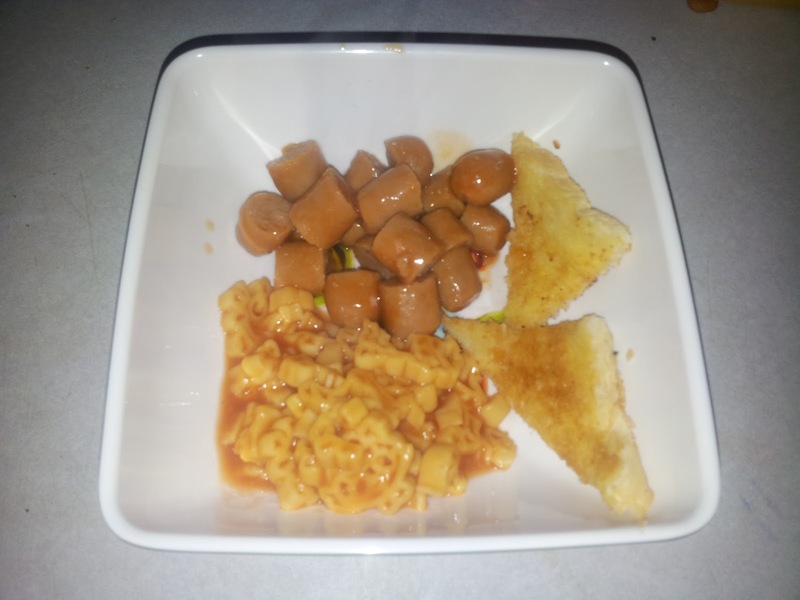 So whether they’re topped on toast, covering a jacket potato or as a side accompaniment to a classic kids’ dish, Heinz Moshi Monster Pasta Shapes are a handy, healthy option. They're one of your Ive a day too! We were sent a sample which arrived this morning just in time for lunch so we decided to give them a try. The tin is cute, decorated nicely with a picture of the newest craze Moshi Monsters. I emptied my tin into a saucepan and heated slowly for just over 5 minutes until it was all warmed through. The pasta shapes went into the pan looking great, funny monster shapes with real character designs but I'm afraid they didn't quite look the same when they came out. I did stir them quite a lot which meant I accidentally broke all the shapes up but not too worry, they still taste the same. I served Ryan his lunch, Sausages, toast and Heinz Moshi Monster pasta. Yum, he looked pleased. 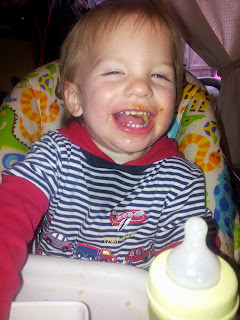 They went down a treat, the perfect (easy to make) Monster lunch for my very own little monster. Ryan was happy enough, his lunch was all eaten in no time and this Mummy is now happy that he's full up until dinner. 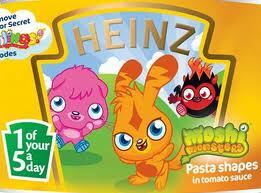 Heinz Moshi Monsters Pasta Shapes will are available in Tesco, Morrisons and Asda from March and have an RRP of 49p. I think this Mummy needs a trip to the supermarket. Samsung Mobile Unpacked 2012 is Coming!